Would you like to compete for first place in one of our driving competitions? 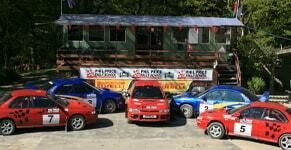 At Phil Price Rally School you can drive at one of the most stunning venues in the UK. We have over 3 miles of genuine rally stages just awaiting your driving skills. When it comes to rally driving experiences, Phil Price Rally School are one of the most top rated places in the UK and have a Certificate of Excellence from Trip Adviser, meaning we have the seal of approval from hundreds of previous visitors. If you fancy making the most of the coming year, why not book a place on one of our One Day Intense Courses for the ultimate adrenaline hit. Our gift vouchers are ideal for all sorts of special occasions and make the perfect stocking filler. Our rally driving experiences make an excellent gift for birthdays, anniversaries and many other celebrations, and you could even give them as a unique wedding present. Customers describe our driving experiences as ‘great fun’, an ‘amazing experience’ and as a chance to acquire genuine skills. Our team are an extremely friendly bunch and endlessly passionate about rally driving. We have many repeat visitors who love our One Day Intense Course so much, they come back for more! 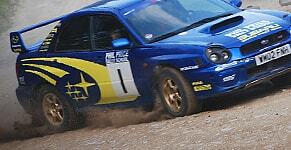 Why not find out more about our rally driving experiences.